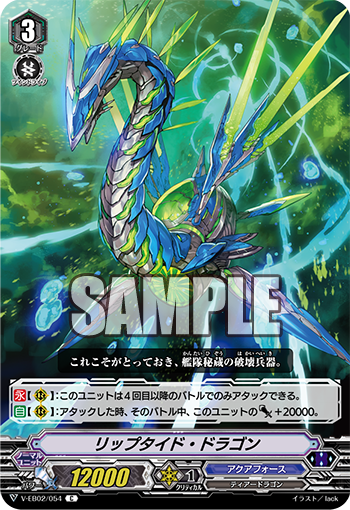 Today’s COTD features big power hitters for Aqua Force. CONT (RC) This unit can only attack if it is the fourth battle of this turn or more. AUTO (RC) When it attacks, this unit gets Power+20000 until end of the battle. AUTO (RC) When your unit attack a vanguard, if it is the third battle of this turn or more, this unit gets Power+3000 until end of turn. ← [Weekly News Bits] The One with GREAT DAIYUSHA!! !